MOSCOW — Despite the Russian central bank’s extraordinary move to defend the currency, the ruble’s value continued to slide on Tuesday, presenting President Vladimir V. Putin with an acute set of political and economic challenges. Scenes that Russians hoped had receded into the past reappeared on the streets. Currency exchange signs blinked ever-changing digits. Russians rushed to appliance stores to buy washing machines or televisions to unload rubles. Unsure of prices, car dealerships like Volvo in Russia halted business, while Apple stopped online sales in the country. After a middle-of-the night interest rate hike, a sense of economic chaos settled over the Russian capital. The ruble was in free fall, dropping under 80 rubles to the dollar, after opening the day at 64 to the dollar. The Russian economy is getting battered by the painful combination of Western sanctions and low oil prices. The country is expected to fall into a recession next year. Global investors are increasingly concerned that tumult in Russia might not be isolated. Many emerging markets like Venezuela and Nigeria are dependent on their energy exports, which are being hurt by the deep and sustained decline in oil prices. Oil is now trading at around $55 a barrel, compared to more than $100 a barrel this summer. Emerging markets are also under pressure as the Federal Reserve in the United States shifts strategy. Some countries like Turkey and South Africa have depended heavily on external financing to aid their growth. They have been hurt by expectations that the Fed would raise rates. In Russia, investors are growing increasingly worried that the Kremlin has in effect decided to print money to address a growing debt problem. Traders are also raising concern that the cronyism and opaque insider dealings that have plagued business here have now spread to monetary policy. According to analysts, the ruble’s fall on Monday was sparked by word of an opaque deal involving the central bank and the state-controlled oil company, Rosneft. The well-connected business executive running the company, Igor I. Sechin, a longtime associate of Mr. Putin, had apparently persuaded the central bank to effectively issue billions of new rubles to his company to help cover debts. The governor of the central bank, Elvira Nabiullina, speaking on Russian television, said the interest rate decision had been made to stanch the fall of the ruble. In its moves, the Russian central bank also increased allotments of dollars to the Russian banking system to finance the purchase of rubles as part of the effort to stabilize the currency. “We have to learn to live in a different zone, to orient ourselves more toward our own sources of financing,” she said. 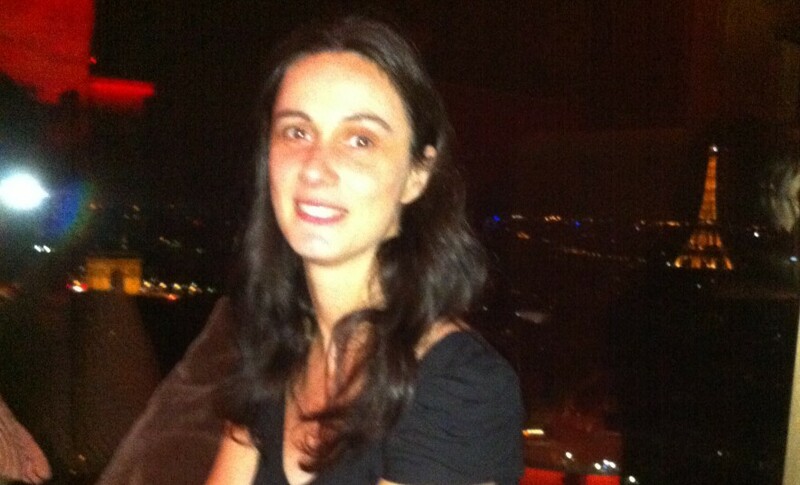 In her televised remarks, Ms. Nabiullina said Russia would not resort to capital controls to stem the ruble’s fall. But traders have long fretted that Ms. Nabiullina, a former economy minister, lacked the political spine to stand up to Mr. Putin or his longtime allies like Mr. Sechin. And yet, though the absence of any credible independence by the central bank is at the heart of the ruble crisis today, it is unclear any figure in Russia could provide it given the ever more authoritarian nature of Mr. Putin’s rule. 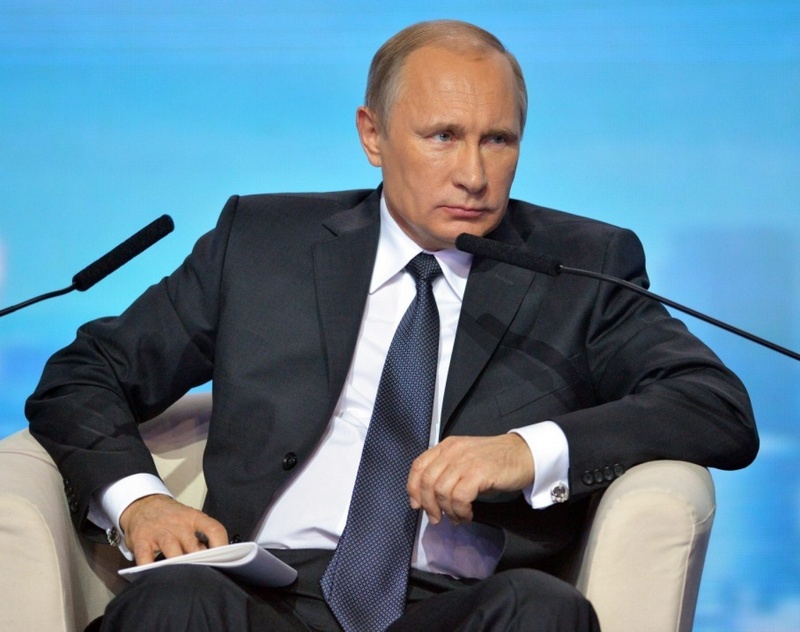 In the oil boom years, the government of Mr. Putin assumed an ever-larger role in the economy. Longtime associates of Mr. Putin’s from his hometown, St. Petersburg, or from his years in the Soviet KGB intelligence agency took the helms of huge new state-owned enterprises. All the while, the central bank and a liberal wing of economic policy advisers kept aloof from this politically driven divvying up of assets. Now, market sentiment is shifting. A continued fall in the value of the ruble could present Mr. Putin with difficult choices and could make it more difficult to sustain the political support he has enjoyed at home even as his relations with the West have frayed. He faces a particularly delicate dance with Russian companies, which are under significant financing strains. Russian corporations and banks are scheduled to repay $30 billion in foreign loans this month. And next year, about $130 billion will be due. There is no obvious source for these hard currency payments other than the central bank, whose credibility is now being called into question. Rosneft, for example, had been clamoring for months for a government bailout to refinance debt the company ran up while making acquisitions when oil prices were high. Because of sanctions, those loans cannot be rolled over with Western banks. Debt payments are coming due later this month. Relying only on the company’s own cash reserves would disrupt oil development projects that Russia is relying on for future revenue. With the oil giant in a bind, the central bank ruled that it would accept Rosneft bonds held by commercial banks as collateral for loans. Rosneft issued 625 billion rubles about $10.9 billion at the exchange rate at the time, in new bonds on Friday. The identities of the buyers were not publicly disclosed, but analysts say that large state banks bought the issue. When these banks deposit the bonds with the central bank in exchange for loans, Rosneft will have been financed, in effect, with an emission of rubles from the central bank. 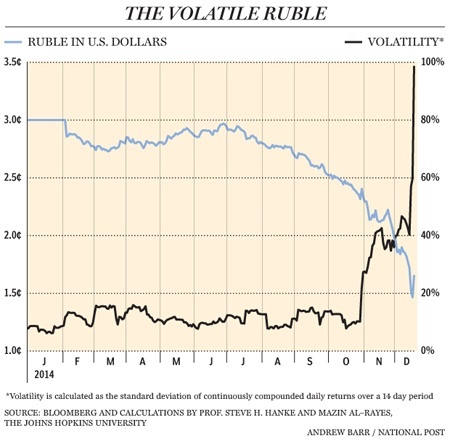 The deal roiled the ruble on Monday, according to analysts. The reason for Monday’s currency crash is “well known,” Boris Y. Nemtsov, a former deputy prime minister who is now in the political opposition, wrote on his Facebook page. “The central bank started the printing press to help the Sechin-Putin business, and gave Rosneft 625 billion newly printed rubles. The money immediately appeared on the currency market, and the rate collapsed.” Rosneft, in a statement, denied it had exchanged funds raised from the bonds for hard currency. “This is a result of aggression and insanity in foreign policy, which led to sanctions,” Mr. Nemtsov wrote of the ruble’s collapse. A funny thing happened on the way to Vladimir Putin running strategic laps around the West. Russia’s economy imploded. The latest news is that Russia’s central bank raised interest rates from 10.5 to 17 percent at an emergency 1 a.m. meeting in an attempt to stop the ruble, which is down 50 percent on the year against the dollar, from falling any further. It’s a desperate move to save Russia’s currency that comes at the cost of sacrificing Russia’s economy. It’s a classic kind of emerging markets crisis. It’s only a small simplification, you see, to say that Russia doesn’t so much have an economy as it has an oil exporting business that subsidizes everything else. That’s why the combination of more supply from the United States, and less demand from Europe, China, and Japan has hit them particularly hard. Cheaper oil means Russian companies have fewer dollars to turn into rubles, which is just another way of saying that there’s less demand for rubles—so its price is falling. It hasn’t helped, of course, that sanctions over Russia’s incursion into Ukraine have already left Russia short on dollars. Add it all up, and the ruble has fallen something like 22 percent against the dollar the past month, with 11 percent of that coming on Monday alone. As you can see below, the Russian ruble has fallen even further than the Ukrainian hryvnia or Brent oil has this year. The only asset, and I use that word lightly, that’s done worse than the ruble’s 50 percent fall is Bitcoin, which is a fake currency that techno-utopians insist is the future we don’t know we want. And this is only going to get worse. Russia, you see, is stuck in an economic catch-22. Its economy needs lower interest rates to push up growth, but its companies need higher interest rates to push up the ruble and make all the dollars they borrowed not worth so much. So, to use a technical term, they’re screwed no matter what they do. If they had kept interest rates low, then the ruble would have continued to disintegrate, inflation would have spiked, and big corporations would have defaulted—but at least growth wouldn’t have fallen quite so much. Instead, Russia has opted for the financial shock-and-awe of raising rates from 10.5 to 17 percent in one fell swoop. Rates that high will send Russia’s moribund economy into a deep recession—its central bank already estimates its economy will contract 4.5 to 4.7 percent if oil stays at $60-a-barrel—but they haven’t been enough to stop the ruble’s free fall. Russia might have to resort to capital controls to prop up the value of the ruble now, and might even have to ask the IMF for a bailout, too. 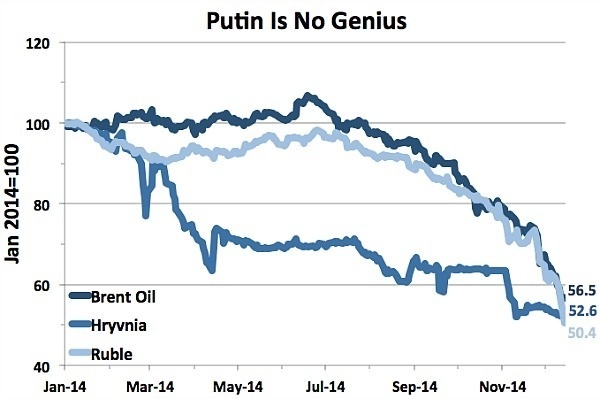 Putin’s Russia, like the USSR before it, is only as strong as the price of oil. In the 1970s, we made the mistake of thinking that the USSR’s invasion of Afghanistan meant we were losing the Cold War, when the reality was that they had stumbled into their own Vietnam and could only afford to feed their people as long as oil stayed sky-high. The USSR’s economic mirage, though, became apparent to everybody—none less than their own people, who had to scrounge in empty supermarkets—after oil prices bottomed out in the 1980s. That history is repeating itself now, just without the Marxism-Leninism. Putin could afford to invade Georgia and Ukraine when oil prices were comfortably in the triple digits, but not when they’re half that. Russia can’t afford anything then. Putin might be playing chess while we play checkers, but only if we lend him the money for the set. Sandro Pozzi, nueva York, el País. El precio del barril del petróleo en Estados Unidos arranca la última jornada de la semana bajo fuerte presión, tratando de no alejarse demasiado rápido de los 60 dólares el barril. Ese nivel ya lo perdió al cierre en la víspera, horas antes de que la Agencia Internacional de la Energía recortara de nuevo sus proyecciones para el mercado del crudo. Es la quinta revisión a la baja en cinco meses. La AIE habla ahora de que la demanda global incrementará en 900.000 barriles diarios en 2015, cuando en la última proyección la colocaba en los 1,13 millones. Más allá de los números precisos que da el organismo, anticipa que este calo próximo al 50% en los últimos meses no va a tener un efecto en la cadena de suministro de petróleo ni tampoco en la demanda a corto plazo. El incremento en la demanda que prevé la AIE para el año próximo es inferior al 1%. Su análisis pone en evidencia que ni la Organización de países Productores y Exportadores de Petroléo, ni EE UU ni Rusia vayan a hacer lo suficiente para retirar crudo del mercado y ajustarlo más al consumo. La agencia cree, además, que el estímulo al crecimiento económico será « modesto ». Con este panorama, el petróleo que se negocia en Nueva York se cambiaba a media sesión en los 57,7 dólares, lo que representa una caída superior al 3,5% frente al cierre del jueves. El de referencia en Europa bajó a los 62,7 dólares. Tanto el West Texas como el Brent se están subastando a precios que se veían en el verano de 2009, cuando la crisis económica tocaba fondo en EE UU. Bill Richardson, exsecretario de Energía de EE UU, ve posible que el barril de petróleo se acerque a los 45 dólares si la situación actual se mantiene. Es una muy mala noticia para los productores que emergieron con las nuevas técnicas de extracción. Harold Hamm, fundador de Continental Petroleum, perdió más de la mitad de su fortuna desde que empezó la brusca corrección. Además del efecto que el desplome pueda tener en la emergente industria del shale, el debate que tiene lugar en paralelo es cómo un precio tan barato del crudo puede afectar a medio plazo a la producción de energía a través de fuentes renovables. La tecnología solar y la eólica, para ser realmente competitivas, necesitan que el crudo esté por encima de los 100 dólares. El informe de la AIE alerta, al mismo tiempo, del efecto desestabilizador que esta fuerte caída en el valor del crudo puede llegar tener en países que como Rusia y Venezuela dependen tanto de los ingresos que les genera el petróleo. También habla de las dificultades financieras en las que pueden verse las compañías productoras más endeudadas. Más a corto plazo, está por ver cómo asume esta nueva realidad la Reserva Federal a la hora de modular su estrategia de vuelta a la normalidad monetaria. El fuerte abaratamiento del precio del petróleo se reflejó en la evolución de los precios en la cadena de producción, que cayeron un 0,2% en noviembre. El banco central de EE UU se reúne la semana que viene. La caída fue mayor de la esperada y se reflejó también en otros componentes del indicador, no solo en el combustible. El riesgo deflacionista, en todo caso, no es tan alto como en Europa. Pero lo que también es cierto es que una caída de precios puede representan un lastre para el crecimiento económico si la baja inflación actual resulta no ser tan transitoria como dice la Fed. En nombre restreint de 20 000, l’ours polaire vit sur le territoire du Canada, Etats-Unis, Groenland, Norvège et Russie. L’ours polaire supporte les températures les plus basses. Il possède une très bonne protection contre le froid, son épais pelage ne laisse pas passer l’eau et son épaisse couche de graisse sous la peau lui permet de résister à des froideurs extrêmes. Cette importante épaisseur de graisse lui permet de passer de longues périodes sans manger. L’ours polaire est menacé par le réchauffement climatique. 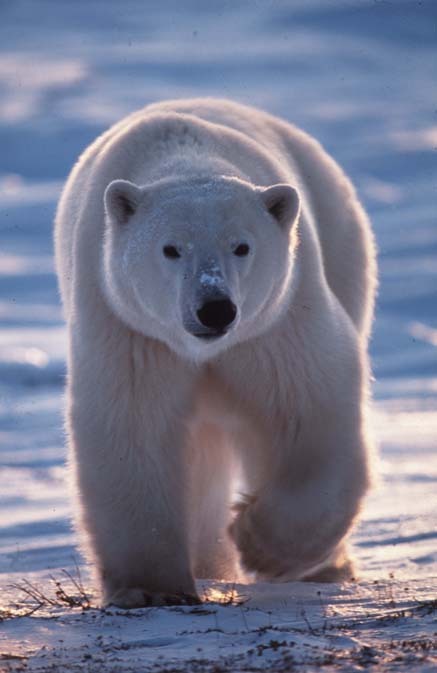 Il est à craindre que ce magnifique ours n’aura pas suffisamment de temps pour s’adapter au réchauffement brutal des régions polaires. 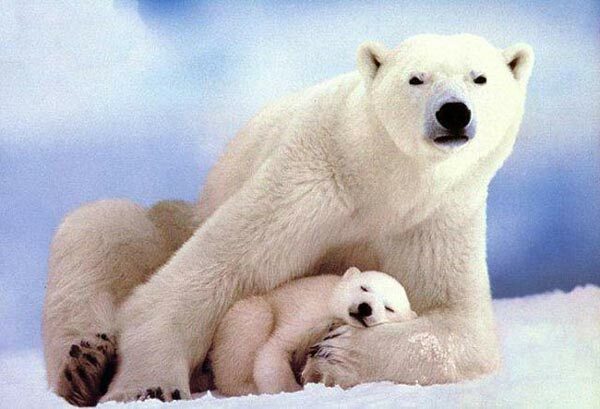 Il faut bien souligner que l’ours polaire a eu beaucoup plus de temps pour s’adapter aux rigueurs du froid arctique. L’Ursus maritimus dont l’espérance de vie est 35 ans, pourra-t-il survivre au réchauffement climatique? S’il s’agit de comprendre d’où écrit Vladimir Nabokov, il n’est pas sans intérêt d’interroger l’espace plurilingue de l’enfance d’où émerge, paradoxalement, la conscience d’un commencement absolu : le paradigme de la première fois (motif omniprésent dans cette œuvre bilingue) éclaire la pratique artistique de Nabokov entre les langues, aussi bien du point de vue de l’engendrement de l’œuvre que de sa filiation. L’original de Nabokov est ainsi à chercher dans une pratique de la lecture qui s’apparente à une expérience de l’inadéquation, mêlant solitude (nécessaire au travail de la traduction) et humour (signature propre de l’auteur).